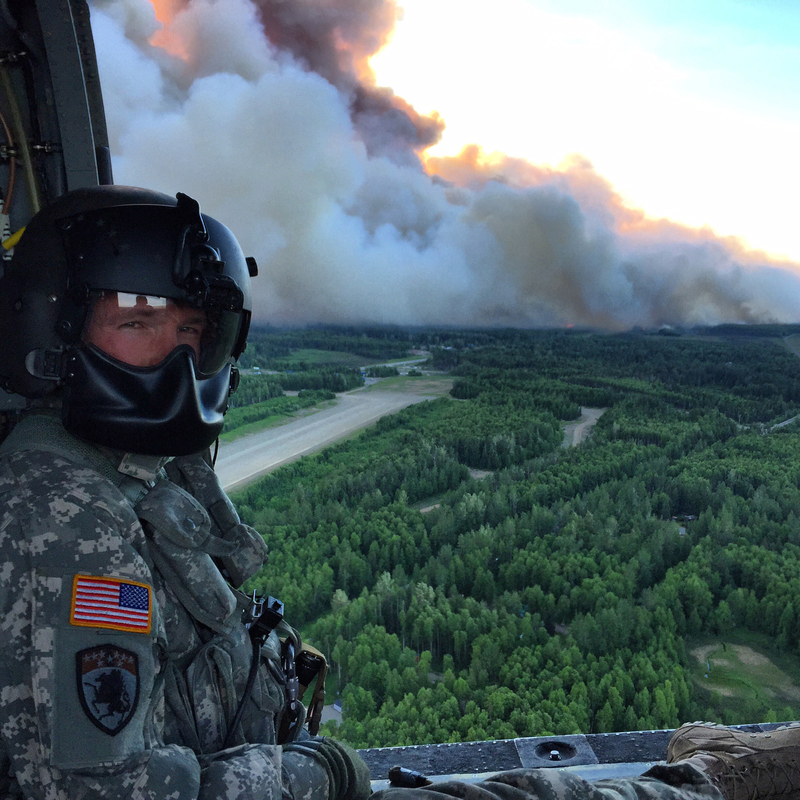 The Alaska Army National Guard supported fire suppression efforts in June 2015 in and near Willow, Alaska. This week 200 US Army Reserve troops were deployed to fight wildfires in the U.S. Pacific Northwest, joining thousands of firefighters and National Guardsmen who have been working to control one of the worst wildfire seasons on record, including some record-breaking wildfires that were visible from space. At least two firefighters have lost their lives this season. But this year’s wildfires have not been limited to the U.S. Pacific Northwest. Firefighters from all 50 U.S. states, and a number of National Guards, are involved in fighting large fires that stretch across eleven U.S. states, including Alaska, Washington state, Idaho, Oregon, California, Arizona, Louisiana, Montana, North Carolina, Nevada and Texas. Climate-exacerbated drought conditions and budgetary constraints have added additional stress to the situation. The infernos are currently raging across 740,000 acres in 11 states, and 13,000 firefighters are spread just as widely to try to combat the blazes. For the first time in recent memory, the U.S. Forest Service has called in firefighters from all 50 states, as well as Puerto Rico and the District of Columbia. The Interior Department also raised the National Preparedness Level to 5 this week, signifying the highest-possible level of resources committed to battling severe conditions. Level for wildfires was elevated to 5, the highest there is, meaning that “geographic areas are experiencing major incidents which have the potential to exhaust all agency fire resources”… At preparedness level 5, the nation can request additional firefighting aid from the military or international partners, like Canada. The repercussions of the fires go beyond putting lives and households in danger, hampering food production and impacting air quality. In Washington State, for example, 2 million pounds of apples in storage were destroyed. Beyond North America, other nations like Spain, Portugal, Italy and Bulgaria have also struggled with managing extraordinary wildfires this year. It is becoming increasingly clear that wildfires are becoming more difficult to fight. Factors like drought, population growth, the choice of building locations, and budgetary restrictions are compounding that difficulty. Resources to manage and prevent wildfires are not adequate, and the repercussions of not obtaining sufficient support are spreading out into food security, loss of lives and livelihoods, and demands on US Army Reserves and the broader U.S. military – as we saw with U.S. NORTHCOM’s assistance fighting Western wildfires in 2014, which included Air Force Reserve units. These impacts on the public, and demands on U.S. institutions of national security, are likely to increase as the climate continues to change. This begs an important question for the future. As wildfire management becomes more difficult, how will that affect resources needed for addressing other critical risks to national security? By Caitlin Werrell and Francesco Femia in climate and security on August 18, 2015 .